Our beautiful world is full of dazzling and amazing places. Some of which are called Wonders of the World. Some natural places are as such that average people don’t know about, therefore we have tried to gather together such natural info of the amazing beauty of the world. 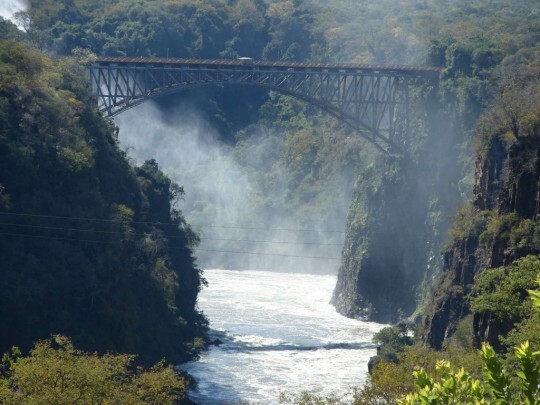 The Zambezi River is Africa’s fourth largest river after the Nile, the Congo (formerly Zaire) and the Niger Rivers. From its source in the heart of Africa to its estuary (river mouth) on the Indian Ocean the river covers 3,540kms and six countries draining an area of some 1,300,000 sq km (502,000 sq mi). 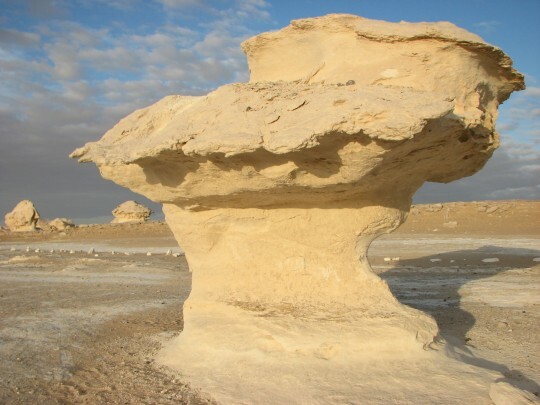 The white desert is a truly amazing place in Egypt. The terrains are flat and walk able or drivable but because of soft sand you can only enter it in a four wheel drive car. It can be seen from the main road but only truly experienced in a four wheel drive vehicle. 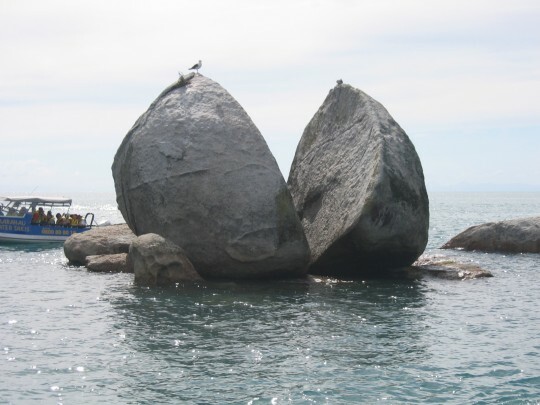 A unique rock formation known as Split Apple Rock surfaces out of the Tasman Sea in Abel Tasman National Park on the South Island of New Zealand. 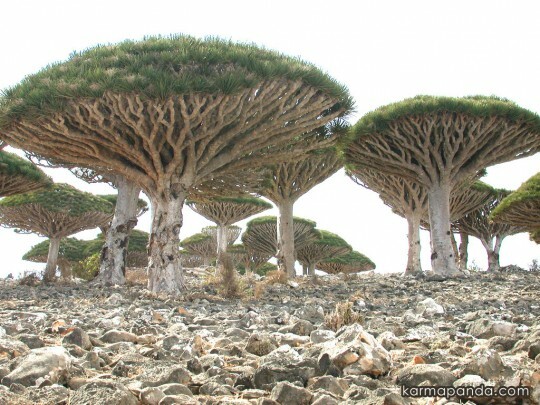 Socortra Island is probably the most weird and amazing Island in the world. Kunming is the capital and largest city of Yunnan Province in Southwest China. 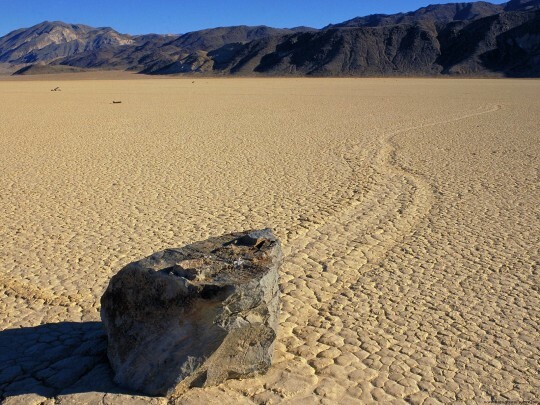 Death Valley is a desert valley located in Eastern California, USA. Death Valley is one of the best geological examples of a basin and range configuration. It lies at the southern end of a geological trough known as Walker Lane, which runs north into Oregon. The valley is bisected by a right lateral strike slip fault system, represented by the Death Valley Fault and the Furnace Creek Fault. The eastern end of the left lateral Garlock Fault intersects the Death Valley Fault. Furnace Creek and the Amargosa River flow through the valley but eventually disappear into the sands of the valley floor. One of the best features about this valley is the Moving Rocks in the sand. 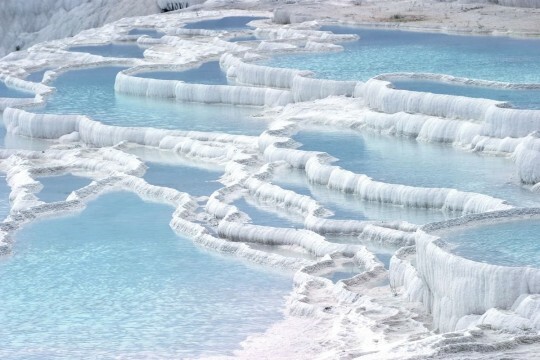 Pamukkale, meaning “cotton castle” in Turkish, is a natural site in Denizli Province in southwestern Turkey. It provides stunning landscape view and an experience of a life time. 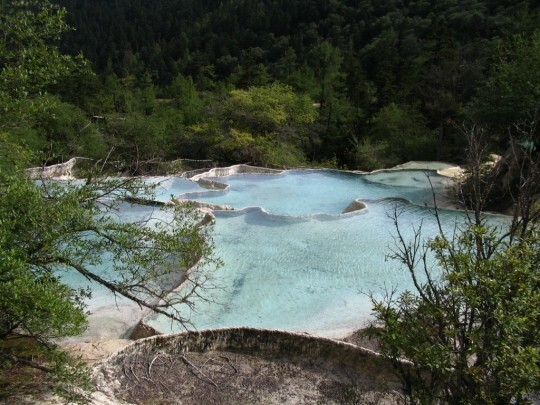 The city contains hot springs and travertines, terraces of carbonate minerals left by the flowing water. It is located in Turkey’s Inner Aegean region, in the River Menderes valley, which has a temperate climate for most of the year. 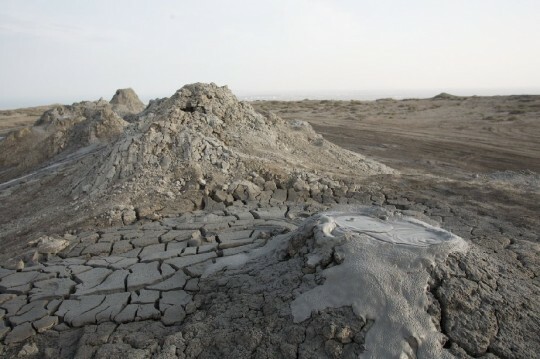 Azerbaijan and its Caspian coastline are home to nearly 400 mud volcanoes, more than half the total throughout the continents. In 2001, one mud volcano 15 kilometres (9 mi) from Baku made world headlines when it suddenly started ejecting flames 15 metres (49 ft) high. 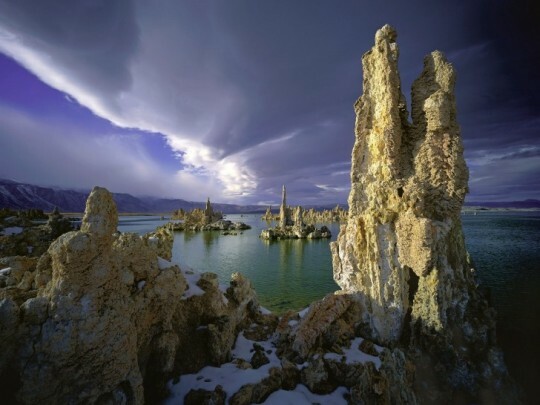 Mono Lake is a large, shallow saline lake in Mono County, California, formed at least 760,000 years ago as a terminal lake in a basin that has no outlet to the ocean. Because it lacks an outlet, dissolved salts make the lake very alkaline and saline. 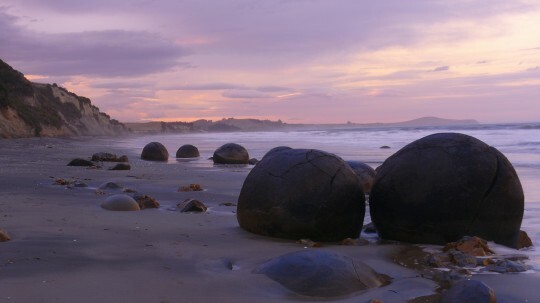 The Moeraki Boulders are weird and large and spherical boulders which are found lying along a stretch of Koekohe Beach on the wave cut Otago coast of New Zealand. 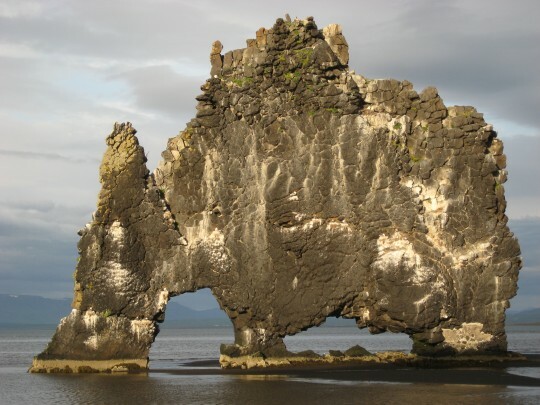 Hvítserkur is a 15 meters high cliff and protrudes out of the sea. The sea erosion has carved holes through its foundations and sculptured it in the unique shape it is today. The new name of Zhangjiajie City was adopted in 1994, after the National Forest Park in the Wulingyuan Scenic Area (???) in order to give it more prominence and after this site had been designated a UNESCO World Heritage Site in 1992. The National Forest Park had been given the name of Zhangjiajie after the name of a small village located within its bounds, and now a popular tourist attraction within the park. The Wulinyuan Scenic and Historic Interest Area comprises the Zhangjiajie National Forest Park, the Tianzishan (???) mountain ranges, BaoFengHu (???) and the Suoxi Valley (??? ), and is a very popular filming and tourist destination. Also in the Zhangjiajie area, Huanglongdong (???) and Longwangdong (???) 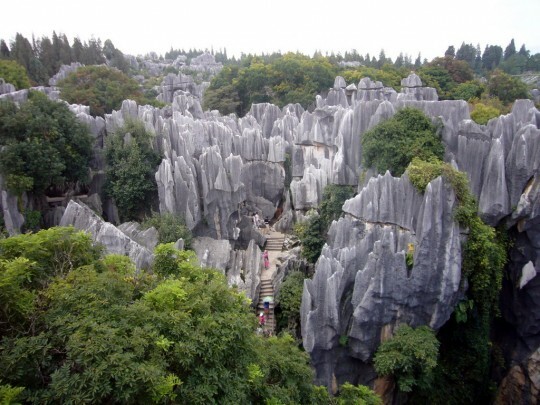 are caves known for many natural rock formations (much like Wulingyuan) and its underground cataract. 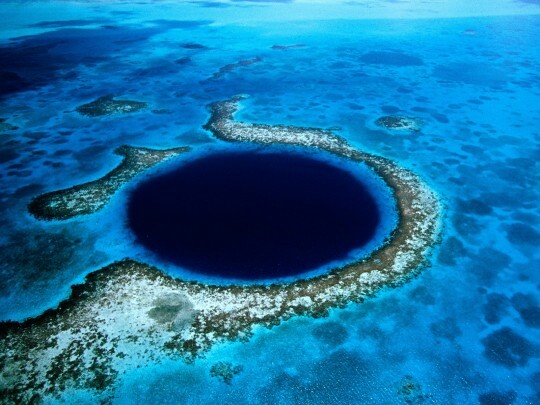 The Great Blue Hole is a large underwater sinkhole off the coast of Belize. It lies near the center of Lighthouse Reef, a small atoll 70 kilometers (43 mi) from the mainland and Belize City. The hole is circular in shape, over 300 meters (984 ft) across and 124 meters (407 ft) deep. It was formed during several episodes of Quaternary glaciation when sea levels were much lower – the analysis of stalactites found in Great Blue Hole shows that formation has taken place 153,000, 66,000, 60,000, and 15,000 years ago. 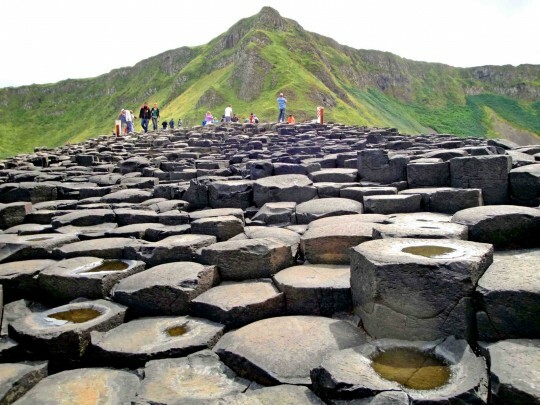 The Giant’s Causeway (known in Irish as Clochán an Aifir or Clochán na bhFómharach) is an area of about 40,000 interlocking basalt columns, the result of an ancient volcanic eruption. 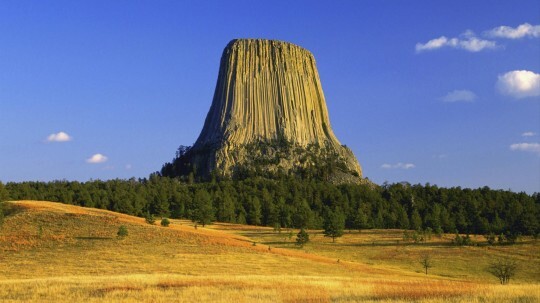 Devils Tower is a monolithic igneous intrusion or volcanic neck located in the Black Hills near Hulett and Sundance in Crook County, northeastern Wyoming, above the Belle Fourche River. It rises dramatically 1,267 feet (386 m) above the surrounding terrain and the summit is 5,112 feet (1,558 m) above sea level. Devils Tower was the first declared United States National Monument, established on September 24, 1906, by President Theodore Roosevelt. The Monument’s boundary encloses an area of 1,347 acres (5.45 km2). 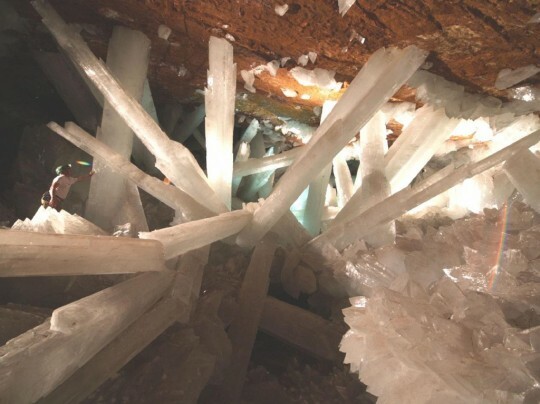 Cavers in Mexico confront extreme conditions and find extraordinary beauty. 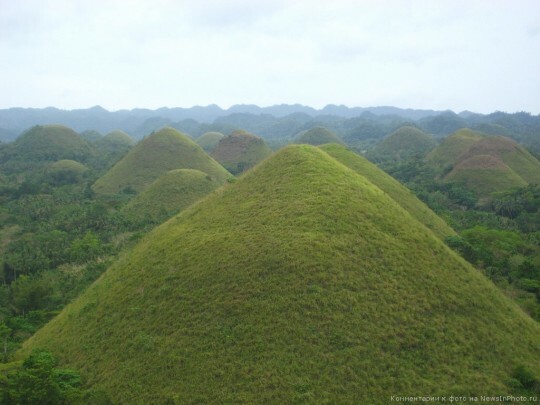 The Chocolate Hills are an unusual geological formation in Bohol province, Philippines. It is Bohol’s most favourite tourist attraction. 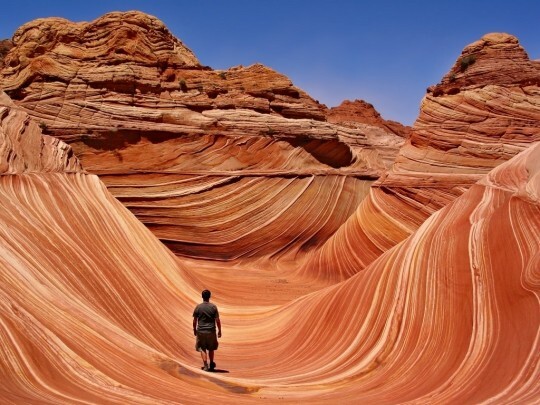 You can hardly believe that this place exists when you see pictures of it. 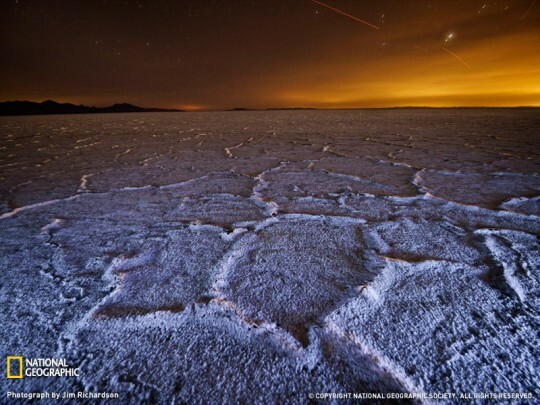 The Bonneville Salt Flats is one of the most unique natural features in Utah. It is the largest of many salt flats located west of the Great Salt Lake, is public land managed by the Bureau of Land Management, and is known for land speed records at the Bonneville Speedway. 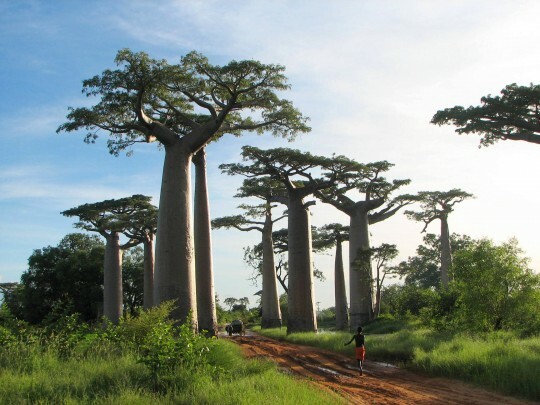 Other common names include boab, boaboa, bottle tree,the tree of life, upside-down tree, and monkey bread tree. The species reach heights of 5 to 30 meters (16 to 98 ft) and trunk diameters of 7 to 11 meters (23 to 36 ft). It’s trunk can hold up to 120,000 litres of water. 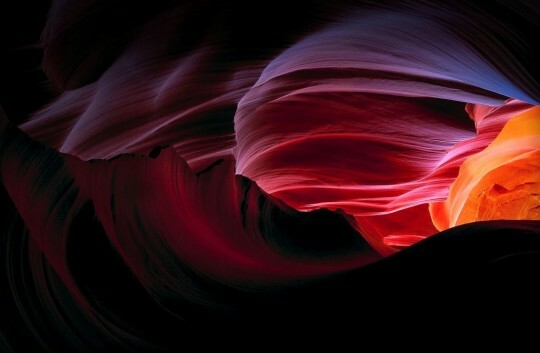 Antelope Canyon is the most-visited and most-photographed slot canyon in the American Southwest. Antelope Canyon was formed by erosion of Navajo Sandstone, primarily due to flash flooding and secondarily due to other sub-aerial processes. Rainwater, especially during monsoon season, runs into the extensive basin above the slot canyon sections, picking up speed and sand as it rushes into the narrow passageways. Over time the passageways are eroded away, making the corridors deeper and smoothing hard edges in such a way as to form characteristic ‘flowing’ shapes in the rock. Flooding in the canyon still occurs. A flood occurred on October 30, 2006 that lasted 36 hours, and caused the Tribal Park Authorities to close Lower Antelope Canyon for five months.